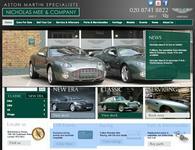 Unveiled at the Geneva Motor Show in 1986, the V8 Vantage Zagato coupe rekindled the relationship between Aston Martin and the famed Italian styling house Zagato, a relationship first created with the collaboration of the two brands in 1960 with the DB4GT Zagato and which continues, through the DB7 Zagato and V12 Vantage Zagato to this day, with the current Vanquish Zagato. Announced as a limited edition of 50 production cars and built to compete with the contemporary and extreme performance models from Ferrari, in the form of the 288GTO and Porsche’s 959 models. 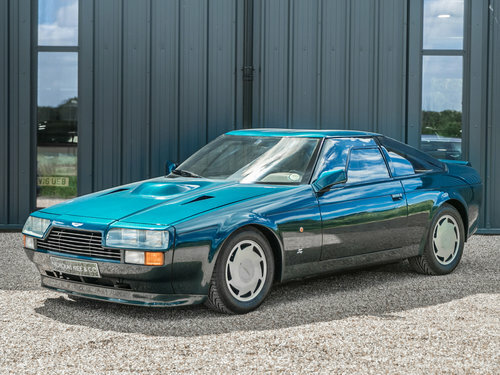 The 1st production prototype Vantage Zagato, was independently timed at 186 mph, on a deserted Autoroute by Sport Auto magazine that year and accelerated from 0-60 mph in just 4.8 seconds. Ultimately 50 production cars and 2 prototypes were built. 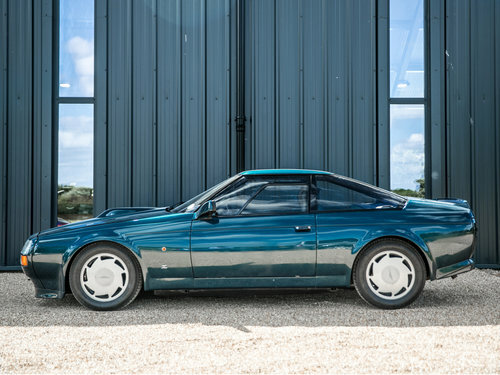 The 432 bhp version of the renowned Aston Martin V8 Vantage ‘X’ pack engine propelled the shorter, lighter weight and more aerodynamically bodied chassis of the Vantage Zagato. Resulting in an agile and extreme performance experience. Driver focused handling and road holding, braking, acceleration and top speed, were just some of the benefits enjoyed by the 50 lucky owners. 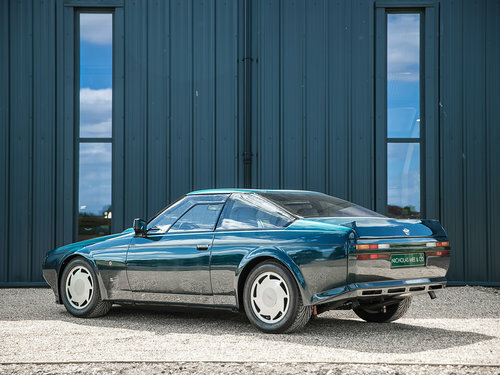 Developed with the aid of wind tunnel testing the handsome body shape divided opinion in 1986 but has proved, as with previous Zagato bodied cars, to have stood the test of time and now acquired true collector’s status. 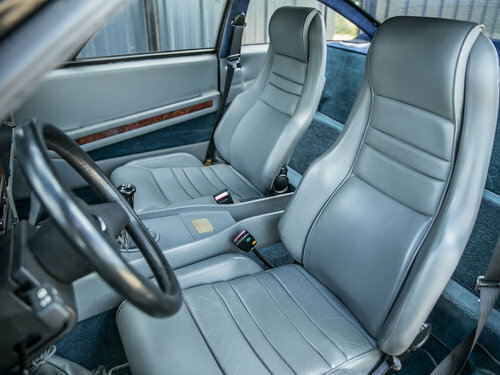 The car we are offering, chassis No:-0045 was built to order for the first owner, a family member of the founder of German media group Axel Springer and was primarily driven on trips between Germany and the UK, prior to changing hands in 1990 with 4,500 kilometres recorded. 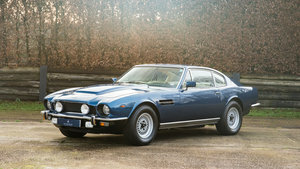 Sold via Aston Martin’s London showrooms, to the second and last owner it has remained in a world-class collection until today. Maintained and cared for by the last owner’s resident technicians and used only on special occasions, this car remained his pride and joy, until his passing. 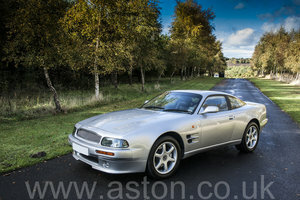 One of the last built examples and 1 of only 21, original LHD cars built. 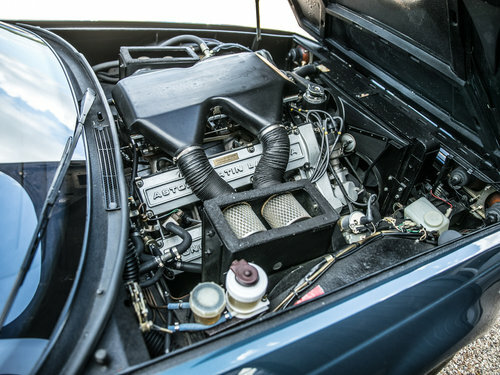 The car has a total of 4,000 miles / 6,500 kilometres recorded and has just received a major service and preparation by Aston Martin Heritage agents, prior to being offered for sale. A comprehensive schedule of these works is supplied, complete with its original owners handbooks and service booklet, spare wheel, tool roll and jack. 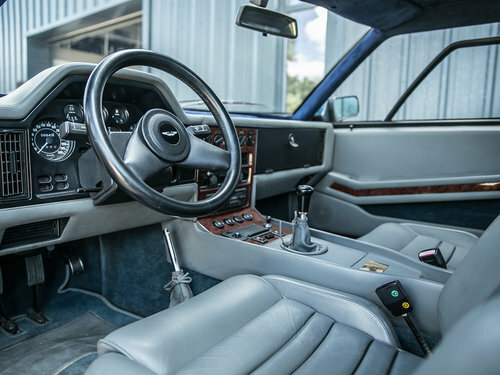 Within the history file are photographs taken in 1990, recording the last owner personally taking delivery from Victor Gauntlett, then Chairman and co-owner of Aston Martin Lagonda Ltd. 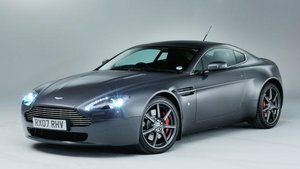 The lowest mileage LHD car known, this model is one of Aston Martin’s greatest driving cars, created with performance and exclusivity in mind. Over the last 30 years the ‘X’ pack- engine Vantage Zagato, has gained legendary status and forms the basis of many Aston Martin collections worldwide, with a superb example having been displayed at the Villa D’Este Concour d ’elegance in 2016. 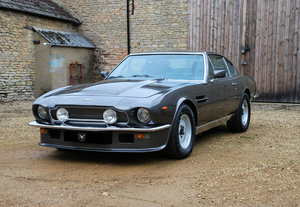 1977 Aston Martin V8 Coupe Carburettor, 3rd owner, matching no. Finished in Masons Black with black trim and hood, this 9000 mile car is in very original condition. 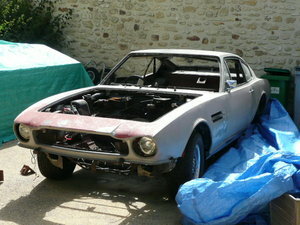 Being chassis number 15023 this was the 23rd Volante produced and then exported to the US, The car is equipped with Euro spec chrome bumpers and weber carburetors.